This August marks not only the month of Singapore's independence 52 years ago but also the formation of ASEAN on 8 August 1967. This special edition of Singapore and the World celebrates the crossroads of Singapore's national history with regional and global history. Professor Tan Tai Yong retraces Singapore’s progress from a Crown Colony to an independent nation in 1963, against the background of a global climate defined by the polarisation between capitalist and communist countries, commonly referred to as the Cold War. 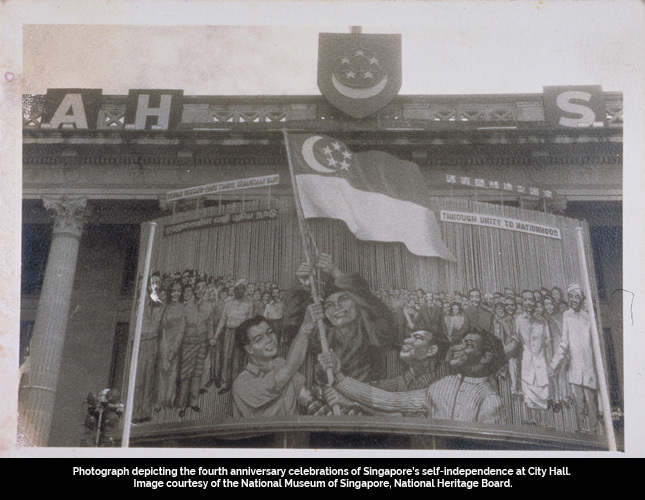 The lecture presents the geo-political considerations which influenced the political developments that led to the independence of Singapore, highlighting an important period in Singapore and the region's history that continues to resonate today. Download summary report of the lecture "The Cold War and the Making of Singapore"
Professor Tan Tai Yong is a historian and the President of Yale-NUS College, National University of Singapore. Professor Tan specialises in South and Southeast Asian History and has published extensively on the Sikh Diaspora, social and political history of colonial Punjab, de-colonisation and the partition of South Asia, and Singapore history. He has authored and co-authored several books, including From Classical Emporium to World City: Singapore – a 700-Year History (2009); Creating Greater Malaysia: The Politics of Merger (2008); The Garrison State (2005) and The Aftermath of Partition in South Asia (2001). Covering topics related to history, design, art, music, food and technology, Singapore and the World is a programme that focusses on the historical and contemporary connections that link Singapore to the world. Brought to you by the National Museum of Singapore and its key cultural partners, the different multi-disciplinary events that make up this programme are an opportunity to celebrate the commonalities and differences that make the world a vibrant and diverse place, providing new insight into Singapore’s place in global history. Please visit National Museum of Singapore's website for information on upcoming programmes.